Science is a specialist subject which mainstream Reception to Year 7 classes participate in for part of their science learning each week. The Science Room is a well resourced learning space within the Resource Centre, with access to water, technology and specialized equipment. Each of the four science strands is taught across a term. Lessons vary between the development of knowledge through direct teaching or research, demonstrations, team inquiries or investigation tasks, skills development and STEM enhanced topics. Learning in the Biological and Earth and Space Sciences often occurs in the outdoor learning environment called Portrush Forest. Here students can engage with small scale life in their usual habitat, discover the patterns and relationships between a large range of plants and understand the workings of natural cycles. 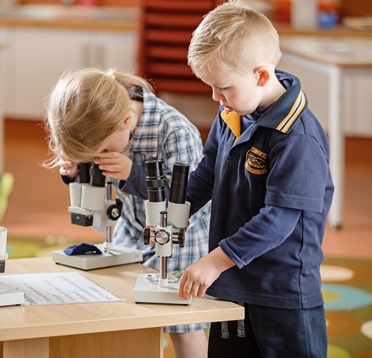 Science learning is enhanced through a range of short and long term links to STEM projects, on-site university research projects, Nature Play, AuSSI (Australian Sustainable Schools Initiative School), Science Week activities and visiting specialists. Visiting specialists enhance STEM learning. 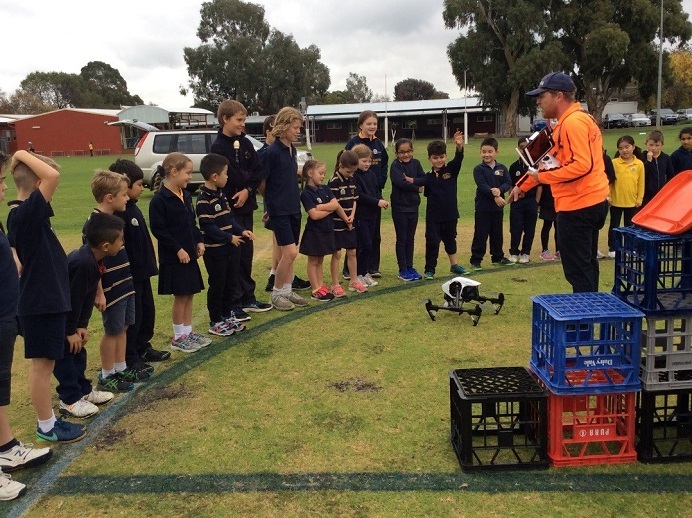 Here the Year 2s experience drone flight and the mapping of land shapes to help manage Earth’s resources.